Installing WordPress via PHP Script is a very way to install WordPress on your Server via FTP without Shell Access. The script automatically download and unzips the compressed WordPress file from official website and delete the script after the installation is complete. There are two variants of the script – one is for the basic work and another is quite advanced; which checks the compatibility of serverside before installing WordPress. Minimum knowledge to access FTP or upload the script to the root of the intended public folder. 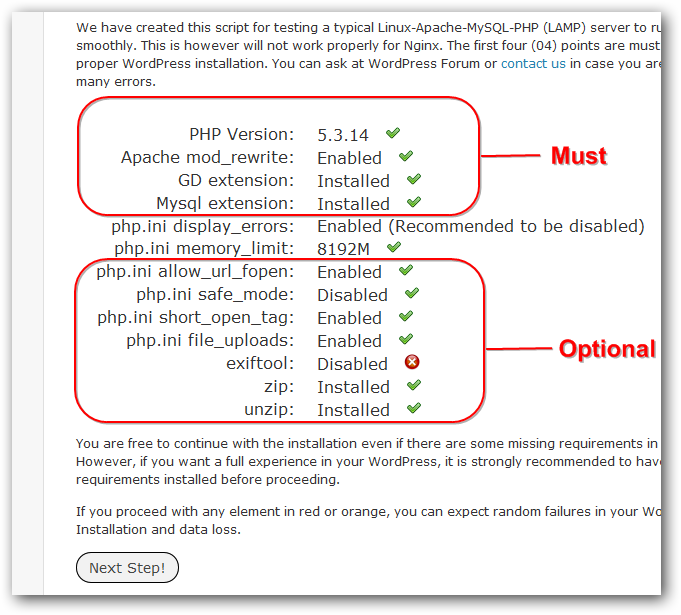 Creating a MySQL database either via PHPMyAdmin or Command Line or any other method. This Article Has Been Shared 2094 Times! Cite this article as: Abhishek Ghosh, "Installing WordPress via PHP Script : Cloud Sites and Other WebHosts," in The Customize Windows, March 26, 2013, April 25, 2019, https://thecustomizewindows.com/2013/03/installing-wordpress-via-php-script-cloud-sites-and-other-webhosts/.